If the safety of family or friends is your concern, then CellStop is a must have device. Whether it is worrying about a young driver out late or over speeding or waiting for an over-due loved one. The SVR Security alarms from CellStop provides the easy features to either send alerts to your phone or relive your worry. Locate, kill the ignition and recover your leased car from an owner who is in default of his monthly payments. CellStop offers the most affordable complete system for fleet management and vehicle tracking. Whether you want to know where your cars are on a map on your PC at any time anywhere, or like to receive a summary 'trip report' at the end of the day as an e-mail or sms. Improve your performance, reduce cost, improve asset security management and fulfill your service levels to your customers - proof via logs, therefore CellStop adds value to your company and has the simple solution for you. We are the CellStop consultant and supplier in Namibia and are committed to providing our customers with innovative and affordable vehicle tracking solutions. GPS tracking technology is the standard in fleet management. 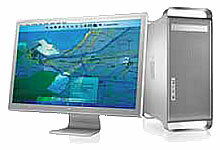 It is an excellent way for fleet operators, owners and managers to monitor their cars, trucks, or vehicles efficiently. GPS tracking will allow you to monitor your employees and vehicles with assurance and confidence. With CellStop vehicle tracking systems in your company's fleet vehicles, you will find a better way to conduct fleet management and track your vehicles. Whether you have one truck or one thousand, our knowledgeable GPS fleet consultants can assist you in selecting a vehicle tracking system that will create a source of competitive advantage for your company. Know where they go! Using our GPS vehicle tracking system in your cars and trucks will allow you to get the facts you need. Hoedspruit Accommodation Lodge accommodation in Hoedspruit near Kruger National Park. Vehicle Tracking in Namibia by cell phone, track car, vehicle or truck. You can even track your family or spy on your naughty wife. Car alarm with satellite GPS tracking system. You can also stop your vehicle with your cell phone. Online real time vehicle tracking and stolen vehicle recovery. Namibia vehicle tracking, vehicle tracking system, GPS tracking, gps vehicle tracking, gps truck tracking, gps tracking system, gps vehicle spy tracking device with automatic vehicle location. Fleet management and tracking system for truck tracking. Track your truck is a premier provider of internet vehicle tracking and gps tracking services, units and equipment. Cellstop provides vehicle tracking in Namibia, gps mobile vehicle tracking systems, gps tracking, satellite tracking, gps tracking system, gps car tracking, gps satellite tracking, gprs vehicle tracking, car tracking, tracking system and satellite tracking for vehicle. Your consultants for Cellstop in Namibia are Bernd Finkeldeh and Michael MacKenzie.